Step up your promotion to the highest level with the Step It Up Pedometer with your logo. 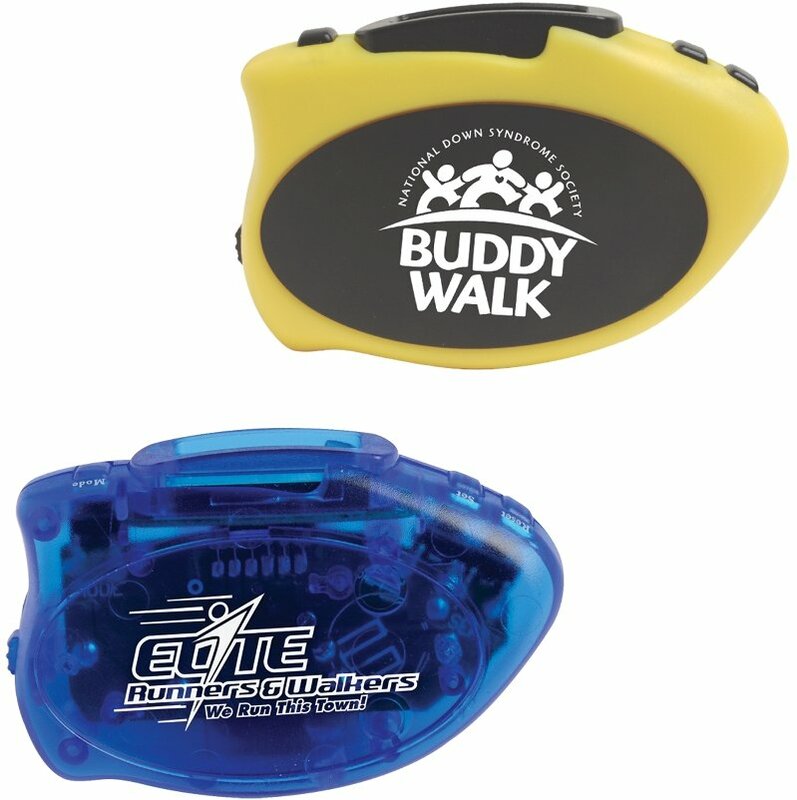 High functioning with a large imprint area, this is your pedometer for promotional items. or kilometers, attaches firmly to pants, belt or pocket with accurate readings. black imprint panel & black trim or All Translucent Blue or Translucent Red. Overall size of the Step It Up Pedometer is 2 1/2" w x 1 3/4" h x 7/8" d.
Rush Production is available. Normal delivery is 2-3 weeks. Price includes a one color imprint on the front area 1 3/4" w x 7/8" h.
add a setup of $55.00 and a running charge of $.30 each.